Relax your jaw—relax your life. People who grind their teeth can sometimes develop a serious problem with their jaw, which left untreated, can adversely affect the teeth, gums, and bone structures of the mouth. Some treatments for TMD include muscle relaxants, aspirin, biofeedback, or wearing a small plastic appliance in the mouth during sleep, like a night guard or oral splint. 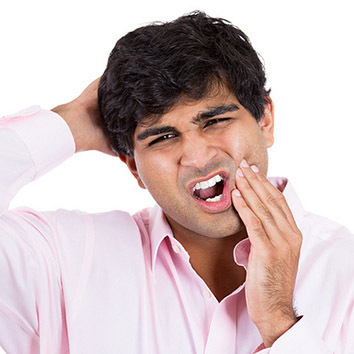 Minor cases of TMD involve discomfort or pain in the jaw muscles. More serious conditions involve improperly aligned joints or dislocated jaws. The most extreme form of TMD involves an arthritic condition of the jaw joint. Traumatic injuries also can cause jaw dislocation. In these cases, jaw surgery may be required to correct the condition. Some jaw surgery can be performed arthroscopically.